When a Virginia McDonald’s restaurant employee refused to serve a uniformed officer after he’d ordered and paid for his meal, the franchise owner took “appropriate action” and canned the cop-hating worker. 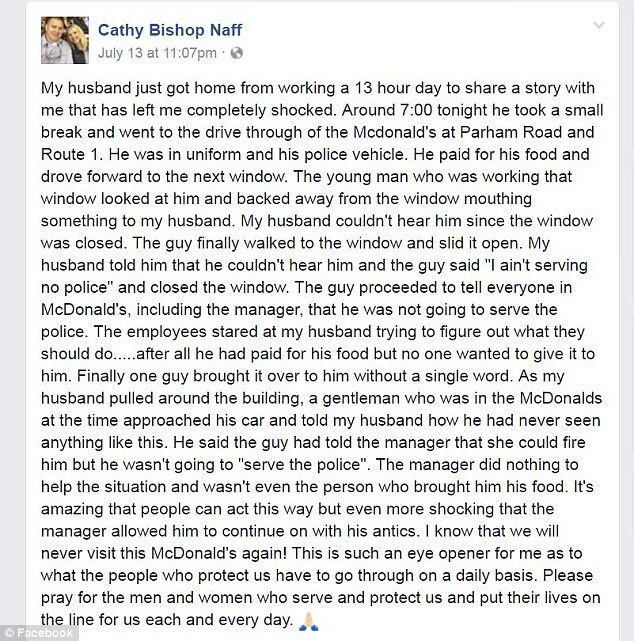 Cathy Bishop Naff, the officer’s wife, described the incident on her Facebook page, indicating that he ordered and paid for his food while in a police vehicle at the restaurant’s drive-through line. When he approached the second window to puck up his order, everything went wrong. Another employee eventually brought his order out without saying a word. “At our restaurants, we are dedicated to serving all of our customers, including all authority figures who protect our wildlife and natural resources,” McDonald’s Owner/Operator Freda Thornton said, according to local CBS affiliate WTVR 6 News. “We regret this situation as it goes against our standards of providing a welcoming experience to everyone, and we have taken the appropriate action to resolve this situation. 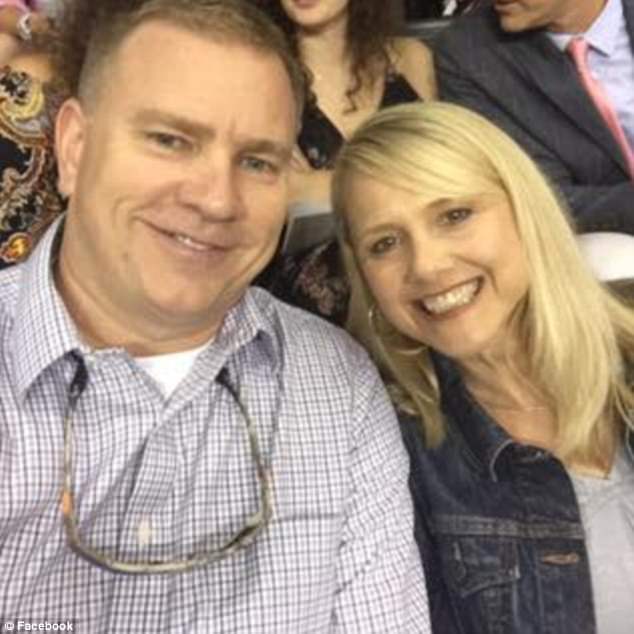 Thornton didn’t indicate what that action was, but the wife of the Virginia Conservation Police Officer did..
She said that the incident, which happened last week, left her shaken. The cop is obviously white. Presumably the young man was black. The Cops sure as hell don't 'serve' us, so why would we want to serve them. The guy should have told him to 'get out of the car' slammed him against the wall and shoved the food in his whatever. There are no 'good cops', if there were, there would be no 'bad' cops. PS Virginia cops are pretty much the worst on youtube. awww was the criminal in a costume sad because someone didn't want to do business with him? The police do not exactly have a good record for serve and protect. When they are not killing civilians, they are stealing from them via Civil Forfeiture. I would serve them their food without any hesitation; directly after I launched a huge phlegm ball in to it.